Lucca is an old walled city in the Tuscany region of Italy. 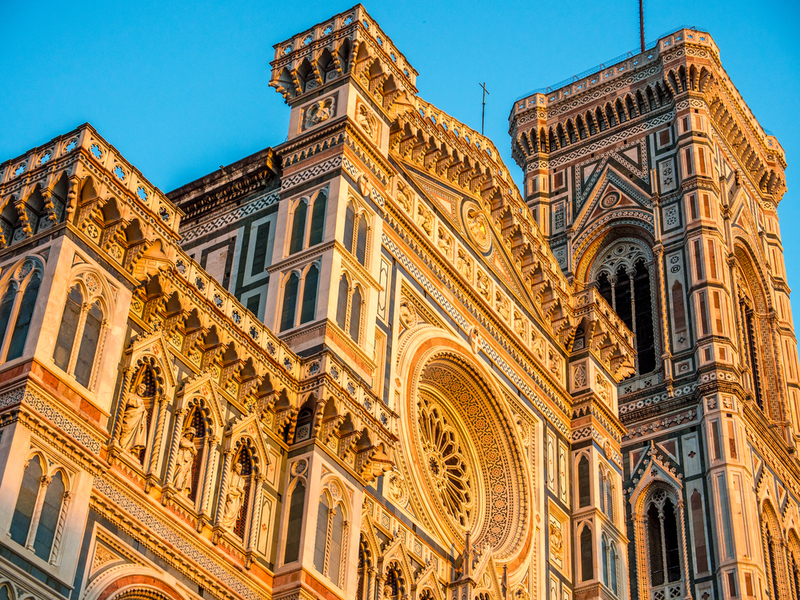 Close to Florence and Pisa (20 minutes train ride) it is a tourist destination but not as popular as its more famous neighbours and ancient rivals and after the hectic streets of Florence it can be welcome change of pace. When visiting make sure you try its four famous products, olive oil, ‘Monte Carlo’ wine, ciceno and its frozen yoghurt. The most impressive thing about Lucca is it walls. After all this time they are still standing and completely surround the town. Within the walls are tight and twisty roads and alleys, perfect to explore and lose yourself in. When you arrive at Lucca the first thing you need to do is get a map, without this you have no chance of finding your accommodation! The second thing to do is walk (or cycle) the walls. The walls are really giant earth banks with a wall on one side and a steep slope on the other. On top of the walls it is wide enough to have a road lined by oak and chestnut trees. Spend a couple of hours strolling round the 4km of walls, soak in the sights and if you get thirsty do what the locals do and take a drink from the fountains that are dotted all around Lucca. All have wonderfully clean water from the local mountains, if it is not for drinking they will be clearly labeled. If you do decide to get a bike make sure you do at least one lap on foot, there’s just too much to take in if you are on a bike! Lucca has lots of sights to offer, from its cathedral and other churches, to towers offering spectacular view over the city and museums. But when you go make sure you take the time to wander through the streets, especially the Eastern part of the city. This is where the locals hang out and gives you a much better feel for the place. When there make sure you eat some ciceno. This is a local chickpea cake eaten with a pizza slice. It can be found at most pizza places and is really tasty! When we came we stayed at Everlina B&B. It is really central (just off the main shopping street), beautifully turned out and hosted by a wonderful couple. They were full of tips on where to go and what to eat, perfect for when you are only there a couple of days.